There is nothing like the sweet taste of a cold glass of sangria on a warm sunny day in Barcelona. Now that summer is almost here it is time to indulge in this traditional Spanish drink. Sangria, which stands for “bloodletting,” is a signature Spanish drink created in Andalucia. 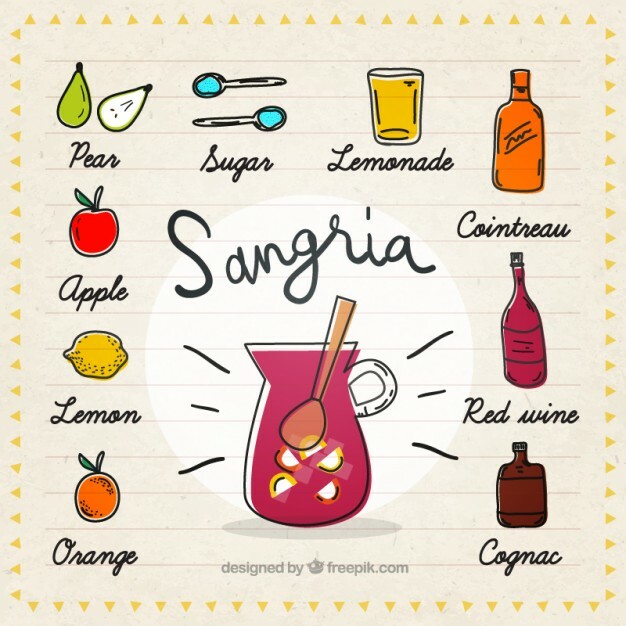 Sangria’s ingredients include ginger, cinnamon, pieces of lemon, orange, apple, peach, mango, melon, kiwi, grapes, pineapple, berries, and more. All of these ingredients are left marinating in red wine, white wine, or as preferred in Barcelona, in cava. 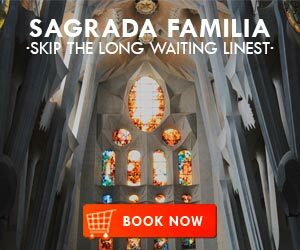 Whichever variation you fancy, below, you will find a list of restaurants and bars that serve, what we consider to be the best sangrias in Barcelona. Located in the hip Born area, in the Gothic neighborhood, Arcano provides a perfect setting to enjoy a date night with your significant other. They serve delicious dishes prepared with fresh, local ingredients, all cooked in a charcoal oven, which adds a special touch to the food. 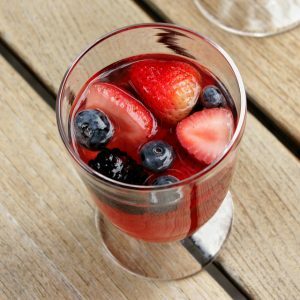 Their traditional sangria recipe is a delight. 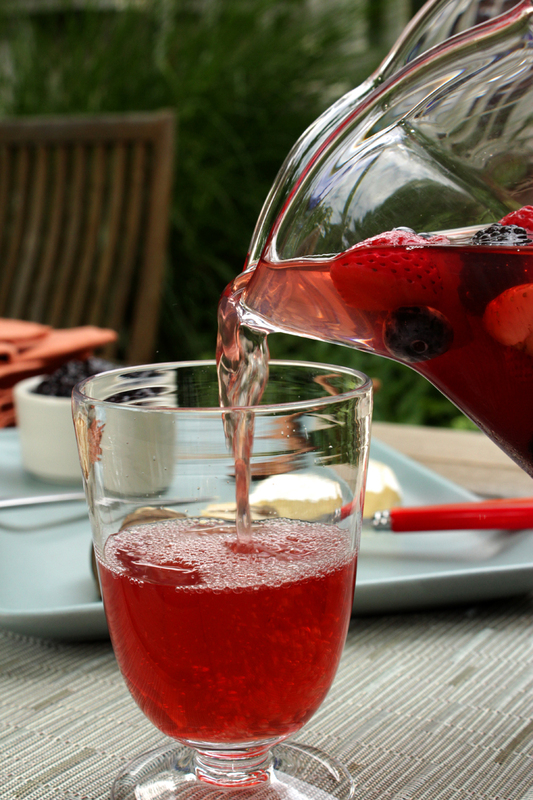 If you want to try something you have never had, sangria with cava is the way to go. You will have as much fun tasting this venue’s sangria as you are saying Bubó Bar Barcelona three times in a row. Bubó Bar is a highly regarded establishment, most famous for their delicious, exquisitely made pastries. 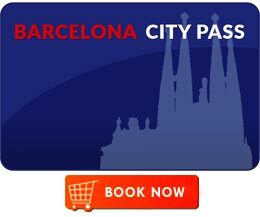 Theirs is a world-famous brand, with venues located not only in Barcelona but also Abu Dhabi, Dubai, and Tokyo. Bubó Bar’s sangria is absolutely delicious, including some creative variations of this luscious drinks. Order the Sangria Cointreau Bubó Cocktail. You will not regret it! Frank’s is located in one of Barcelona’s waterfront hotels, the Hotel Arts Barcelona. 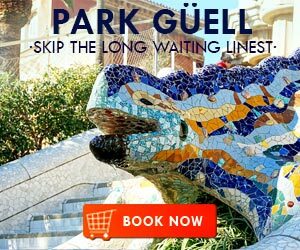 The restaurant lies inside, with a spectacular view of Frank Gehry’s sculpture “Fish“. The ambiance feels both sleek and cozy, providing you with the perfect place to sit and sip on a cup of Frank’s uniquely made sangria or embrace the taste of a cup of cava. They also serve a variety of cocktails and wines, all of which can be enjoyed while you witness the beautiful views from the large glass windows. Walking into this restaurant is like stepping back in time to witness and taste the original most authentic sangria in town. Los Caracoles opened in 1835 and has since had people raving about their sangria. 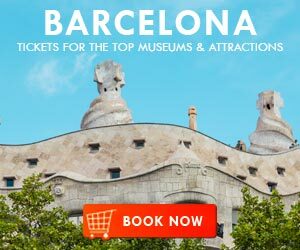 This is such a popular spot in the city, it has received visits from a number of famous personalities like singer Lenny Kravitz, former USA president Jimmy Carter, actor Robert De Niro, designer Giorgio Armani, and artist Joan Miró. Some people come to the Les Caracoles just for a drink while others prefer to enjoy a nice, hearty meal.  So if you are feeling hungry when you visit this venue, you can compliment your cup of sangria with their famous roasted chicken or plate of caracoles (snails). 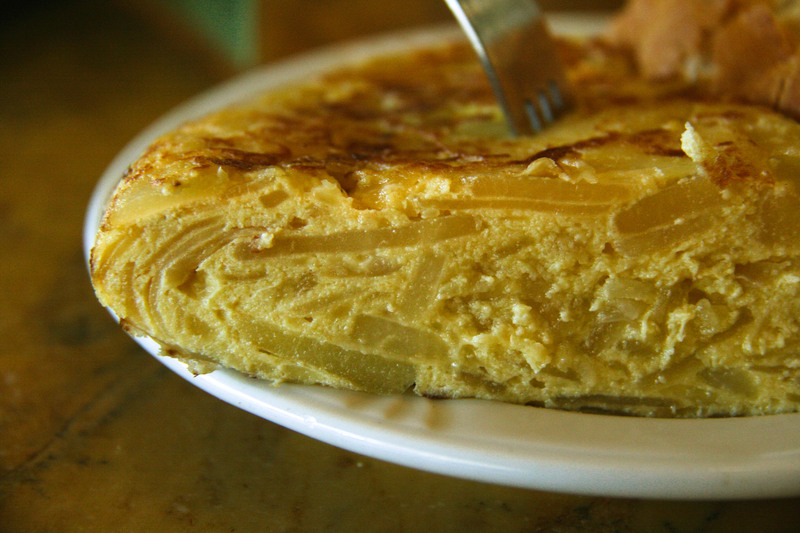 Casa Lolea is a quaint little restaurant located in the district of Ciutat Vella. 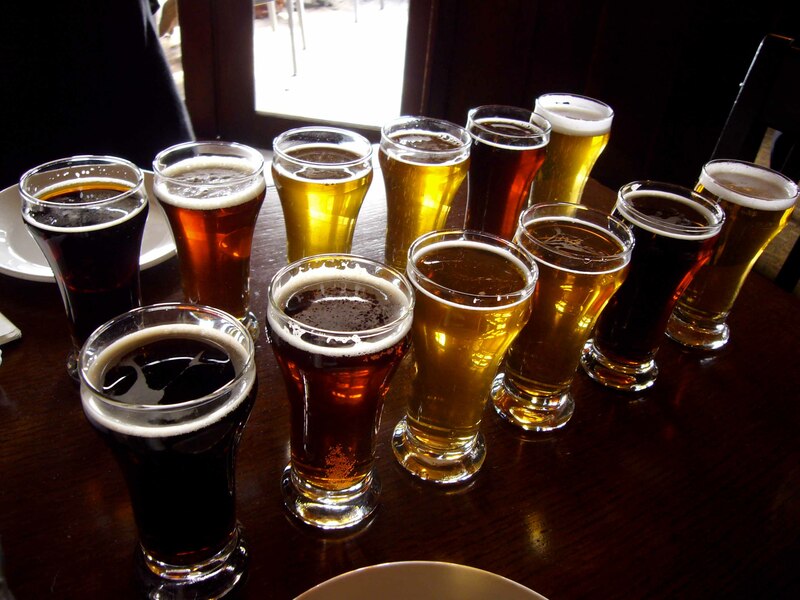 They are known for their polka dotted decorations as well as for one of the very best sangrias in the city, to which they have added their modern touch. This is a great place to come for a refreshing drink and also for delicious tapas such as patatas bravas, smoked eel with ricotta cheese and wakame salad, and tartar steak with herbs butter. They also serve montaditos, tiny little sandwiches that are typical in Spain, the famous Spanish jamón, and a variety of cheeses. 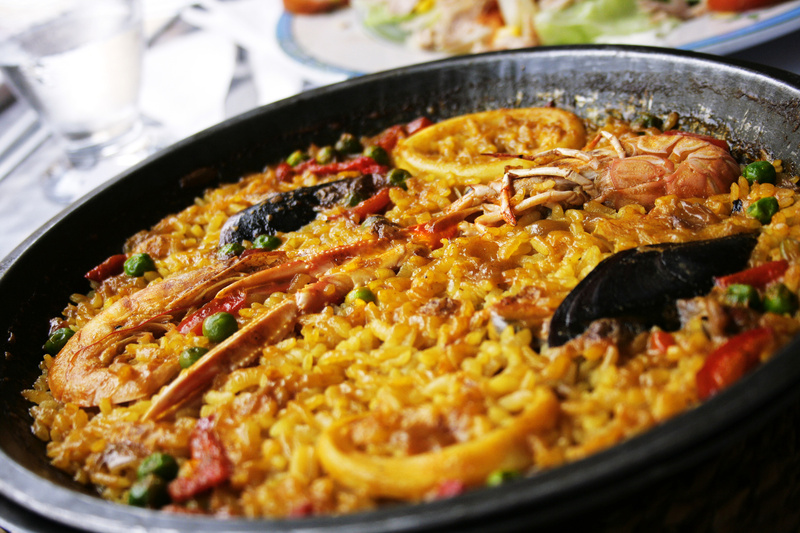 You may have heard that you should avoid any restaurants at Las Ramblas because they tend to be too touristy and they overcharge for food that is not that great. 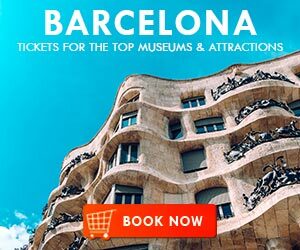 But in this case, you don’t need to worry: Cachitos Rambla is actually located in Rambla de Catalunya, a boulevard located next to Passeig de Gràcia, where a lot of great stores and restaurants can be found. 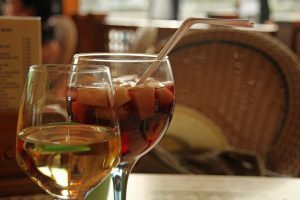 Cachitos serves a variety of tapas and dishes but what we really need to talk about is their sangria – they serve 55 different types of it! This is a very popular place for those who want to try this traditional Spanish drink, often receiving the visit of national and international celebrities such as Gerard Piqué, Kobe Bryant, and even South Korean singer Psy, who created “Gagnam Style”. We definitely saved the best for last. World renowned Chef Ferran Adrià has taken the traditional sangria and made something completely new out if it. He calls it elBulli, and it includes watermelon and cumin, providing the drink with a very unique taste. Tickets is one of the most exclusive restaurants in the city, serving innovative, expertly-prepared dishes such as potato and nori cubes with spicy tuna belly tartar, oysters with tiger nut milk kumquat and coriander oil, and artichoke sunflowers with yuzu tarama, pickled lemon, mint, and ginger pearls.Tickets is an insanely popular venue, which means that you must make a reservation 60 days in advance to get a table.